Olean, NY (March 24, 2019) – On Friday, around 9:00 p.m., one person was reportedly injured in a two-vehicle accident that took place at a local intersection. Police responded to the intersection of North Union and West State Streets to find that a rear-end accident took place. 18-year-old Makenzie Milligan, of Olean, reportedly ran into the back of 49-year-old Sharon Halom’s vehicle. Halom was injured in the accident but is expected to be okay. Police say that Halom was stopped at the entrance of a traffic circle at the time and Milligan was not paying attention to the roadway. She received a ticket for the accident. First and foremost, we would like to take this time to considerately extend our sympathies to everyone who was involved in this accident. We hope that all injured parties will receive a full recovery. These serious accidents take place every day on our roads, especially in the area of intersections where accidents tend to happen with frequency. Many accidents happen due to negligent acts every day, such as speeding, drunk driving, distractions, and more. 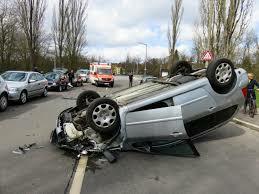 Our New York car accident lawyers are here in your time of need if you have been injured in one of these accidents. Many victims of car accidents are unaware of the many rights they have under New York accident laws. At Hach & Rose, our accident attorneys will not only answer your questions but also help you build your case and work toward compensation you deserve when you need it most. If you have received injuries in an accident, you should never have to stand alone. Please contact us today for more information at 212-779-0057.